Mr. Jordan is a licensed CPA and advises private and publicly-traded smaller and mid-sized companies on organization development, financial reporting matters, systems design, complex accounting questions, internal controls (including compliance with the Sarbanes-Oxley Act of 2002), mergers and acquisitions, enterprise valuation, debt and equity capital formation, restructurings and recapitalizations. As a practicing CPA, he was with Coopers & Lybrand (now PricewaterhouseCoopers) in Seattle and New York City, a partner and SEC reviewer with Moss Adams in Seattle, and a Senior Consultant to the Firm with Peterson Sullivan LLP in Seattle. His professional assignments as a CPA included significant mergers and acquisitions projects and three initial public offerings. Mr. Jordan was a private investor, CEO and CFO of several companies and Managing Director at the investment banking firm of The Fuller Trident Group, and senior-level consultant to the Boeing Company. He has been directly involved in capital formation and mergers and acquisitions transactions valued at more than $200 million, has consulted on two major Chapter 11 bankruptcies, and testified as an expert witness. In the capital markets, his transactions include public and private offerings, exempt, secondary, and PIPE offerings, reverse mergers, acquisitions and dispositions, convertible debt offerings, and FINRA registrations. Mr. Jordan is a member of the Washington Society and American Institutes of CPA’s. Mr. Jordan has a BA in Business from the University of Washington, where he was also a lecturer at the Foster School of Business. 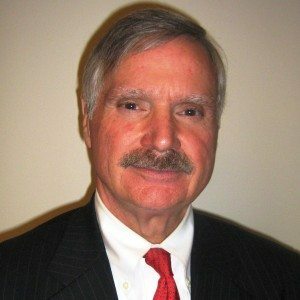 He has been a research fellow and consultant at the Coopers & Lybrand’s national office of SEC consulting and chairman of the WSCPA’s Standards Review Committee, the senior technical committee that oversees the quality of financial reports produced by member firms.